ST. LOUIS, MO—Stressing the difficulty of moving forward in a particularly trying stage of the mourning process, local widow Simone Irving told reporters Thursday that she still couldn’t bring herself to get rid of her late husband’s corpse. “I know it sounds silly, but it’s the last thing I have of him,” said Irving, explaining that despite the urgings of friends, family members, and grief counselors, she had yet to dispose of her husband’s decaying body for over a year after his passing. “Everyone keeps telling me it’s time to move on with my life, but it’s hard. I mean, Geoff’s corpse still smells just like him. Sometimes, after a hard day, I’ll still curl up in bed with it. 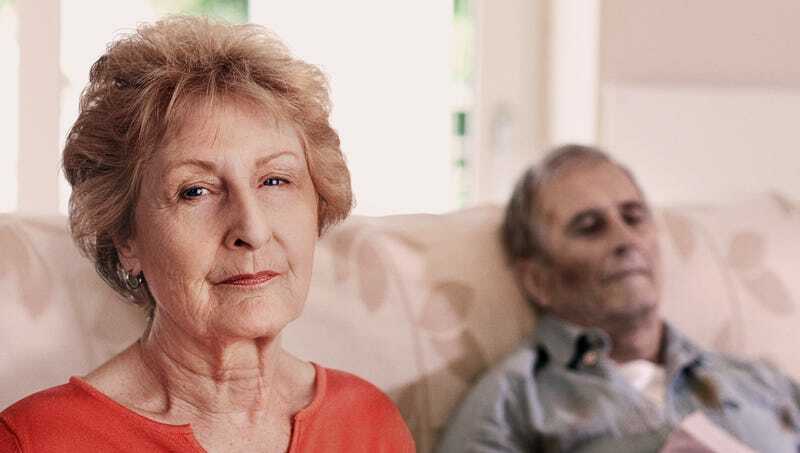 I know it may not seem healthy, but I just can’t seem to part with it.” At press time, Irving was packing up her deceased husband’s old body in a garbage bag to store in the attic.